Two of our fantasy experts — Dylan Fraychineaud and Harris Ahmadzai — have challenged each other to a season-long FanDuel battle. For those that aren’t familiar with the FanDuel, it’s a daily fantasy football site that allows millions of people from across the world duke it out on the virtual gridiron. Typically, each ‘contest’ involves some sort of salary cap, and the players are tasked with building the most optimal fantasy football lineup within the confines of said cap. 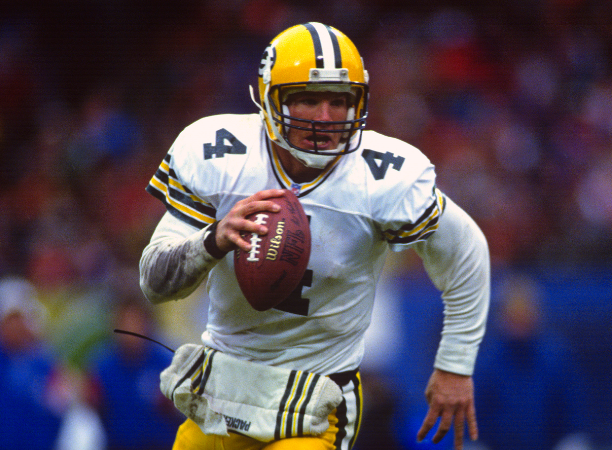 Rules are fairly standard — 4-point passing touchdowns, 6-points for a rushing or receiving touchdown, and .5 PPR. Lineups are comprised of 1 QB, 2 RB’s, 3 WR’s, 1 TE, 1 Flex, and a defense/special teams. We’re going to keep a running tally throughout the year of who wins every week, and the winner will receive monetary compensation and ultimate bragging rights. Another huge performance from Todd Gurley secured a 141-134.7 victory for Dylan, leaving the score at 4-2. Goff has continued to soar under the leadership of Sean McVay. Goff, currently fourth in passing yards, should enjoy a huge day in San Francisco. While teams continue to key in on Todd Gurley (which isn’t working) Goff will have plenty of room to throw. The Rams put up a lot of points against the 49ers — a trend that I expect to continue this week. Tarik Cohen’s explosive nature has earned him more touches in the Bears’ offense. Cohen has been utilized heavily in both the run and passing game. New England’s defense isn’t the fastest unit, so Cohen should be able to exploit them with his speed. When it comes to Saquon, he is simply a beast. Eli Manning’s inability to throw the ball downfield has benefited Barkley. Through six games he has 40 receptions. Saquon should come close to 175 total yards against a injury-depleted defense. Adam Thielen is making a statement this year. His 712 receiving yards lead the league. 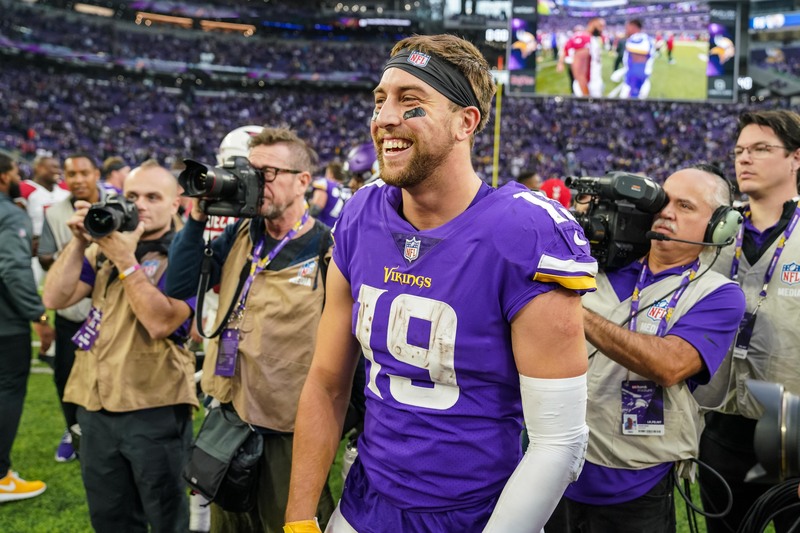 Looking further into his numbers, Thielen’s production is unlikely to drop off. He has had at least seven receptions in every game, and has had at least 10 targets per week. With Cooper Kupp out for at least a few weeks, Robert Woods’ numbers should spike. He has already surpassed the 100-yard mark three times. This week will be his fourth such game. Marquise Goodwin hasn’t had the greatest year thus far. However, for the same reason I chose Emmanuel Sanders last week, I’m taking Goodwin this week. The Rams can’t stop the deep ball and Goodwin’s success is predicated on his home run ability. Goodwin will have 106 yards and a score against the Rams. Hooper has come to life over the past two weeks. After three mediocre games to start the year, Hooper has posted back-to-back nine-reception games. Atlanta’s game thie weekend has the potential to be another shootout. New York will look to limit Julio Jones and Calvin Ridley, leaving the middle of the field open for Hooper. Wilson completely shredded Chicago’s defense a week ago. With Brock Osweiler getting the start at quarterback, I expect the journeyman QB to target Wilson frequently. Wilson’s speed will result in at least one or two big plays. The Titans have one of the most talented defensive groups in football. The Bills are one of the least talented offenses in recent memory. Meaning, the Titans will have a great afternoon forcing Josh Allen into multiple mistakes and turnovers. Picking most defenses against the Bills will be a smart choice, but in this instance, the Titans have more talent than most — resulting in a banner day. The first of a slew of Lions on my team this week, Stafford is set up for a big game against a so-so defense. Miami still hasn’t found a way to control the clock, and stand-in QB Brock Osweiler is due for a few signature, bone-headed plays against an opportunistic Lions defense. The Lions feel confident coming off a victory against the Packers prior to the bye week. Stafford will have plenty of chances against Miami just like Mitchell Trubisky did, and will look to bounce back after posting his lowest yardage total in over a year (183 against Green Bay). I have Mixon as a top-3 start at the position against a laughably bad Kansas City defense. Marvin Lewis has the propensity to stick with a single, lead back, and with Giovani Bernard on the mend, Mixon will get nearly all of the backfield touches. Yeldon remains fantasy relevant even with the Carlos Hyde trade. With the deal happening so late into the week, it’s hard to believe Hyde will be heavily figured into the offense just yet. Even if Hyde were to snake a few red zone carries, Yeldon will be in on all passing downs in a must-win for the Jaguars. Boyd has been absolutely on fire on a red-hot Bengals offense. Coming off two touchdowns from a week ago, a match-up with Kansas City and shaky cornerback No. 2 corner Steven Mitchell awaits. With the Chiefs rolling coverages to A.J. Green’s side, Andy Dalton will look for his trusty slot receiver Boyd in a pinch. Landry is waiting to explode. The targets have been there — double-digit targets in five of six weeks — and it’s only a matter of time until the talented wide-out breaks loose. The Buccaneers have given up the second most fantasy points to receivers, and have been battered with injuries at the cornerback spot. I love all of Cleveland’s offense in this match-up. To complete the stack, I opted for Jones over Kenny Golladay and Golden Tate. He’s been quiet the last two weeks outside of the touchdown pass he hauled in against the Green Bay Packers, but remains the best down-field target in Detroit’s offense. The Dolphins gave up enormous plays to Chicago receivers last week, and Trubisky has nowhere near the arm strength or deep-throw accuracy that Stafford possesses. Njoku finally received his first red zone target of the season, cashing in on a fade route for an impressive goal line touchdown. Nobody has reaped the benefits of the Baker Mayfield experiment more than Njoku. The first-round tight end has seen 23 targets over the last two weeks, and enters a game against a Bucs defense that just allowed 9/71/1 to Atlanta’s Austin Hooper. I’ll admit it. I cheated. I’ve had 1.2 points from my flex over the past two weeks, and I can’t handle another disappointment. Jones is due. We’ve been saying that for two years now, but he has to get in the end zone eventually. The Giants are absolutely imploding, and cornerback Janoris Jenkins hasn’t been nearly as sharp as he’s been in the past. Matt Ryan owes his best receiver a couple of looks in the end zone in a game that should end up being a laugher. Brock Osweiler — that’s really all there is to this pick. The Lions have a more talented defense that they’ve shown, and I’m banking Brock doesn’t post his third career 300-yard passing game after gaining a career-high 380 yards against the Bears last week. With a week of prep, it would be a shock to see the Lions allow more than 14 points to an underwhelming offense.